Getting your personal life insurance quote is a very simple process. What will happens after you submit your information? A Consultant will call you back. The consultant will look at the information you have provided and find the best options. 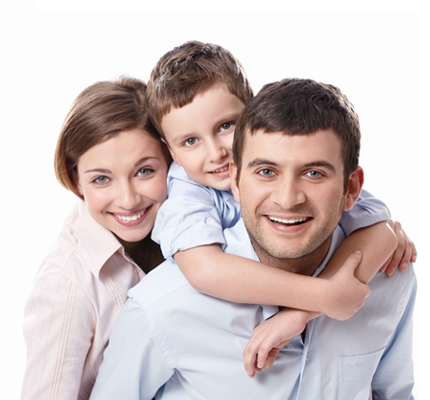 Why Get Life Insurance Quote Today? Life insurance quotes not only ensure that your family has enough money to pay monthly household bills when you are not there to fend for them, these plans also ensure that your dependants do not have to give up on their basic needs just to meet ends. Life insurance plans can ensure that your children go to a good school even when you are not around, or that your elderly parents are not left stranded without money after your demise. Death is not pleasant and life insurance plans cannot make your family miss you any lesser, however death is the only thing certain in life and life insurance plans can help your family come to terms with their loss without having to suffer additionally. Life insurance plans can also pay for funeral costs and miscellaneous costs after you pass away. As the main bread winner of the family you may be under a lot of stress to find a policy that is right for your dependants. The only way you can find a good policy that is ideal for you and your family is by comparing policies. The choice is left up to you, if you want to compare policies online or offline however online tools often provide advantages that are not available to people who compare policies online. While comparing life insurance quotes you should consider what features you want in a plan and then decide which plan is ideal for you. Never compromise on two features of the policy; that are the compensation amount and the term of the policy. A higher compensation amount is ideal for people who have one or more dependants and a long term policy is ideal for people who want to ensure the safety of their family in case something sudden happens to them. While you may be under the impression that cheap plans equal to good plans, the truth is that this is not always a fact since insurers that offer cheap plans may cut corners in order to reduce premiums. This however doesn’t mean that all cheap plans are bad, it only means that before choosing a cheap policy, read the terms carefully, compare policies online and use available resources to decide how much insurance you need. Use online tools such as online insurance calculators and online life insurance quotes to understand what are your needs, these tools are free to use, do not require you to become a member of a website and are definitely beneficial.